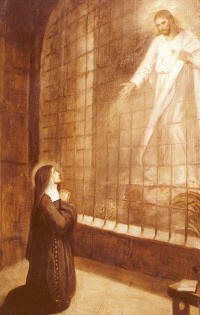 "I promise you in the excessive Mercy of My Heart that My all-powerful Love will grant to all those who communicate on the First Friday in nine consecutive months the Grace of Final Penitence; they shall not die in My disgrace nor without receiving the Sacraments; My Divine Heart shall be their safe refuge in this last moment." 4-Pray: "O Lord, who in the Heart of Your Son, wounded by our sins, has deposited infinite treasures of grace - we pray, that upon receiving the homage of our love, we have offered you a sufficient reparation. Through our Lord Jesus Christ. Amen. Heart of Jesus, I trust in You."